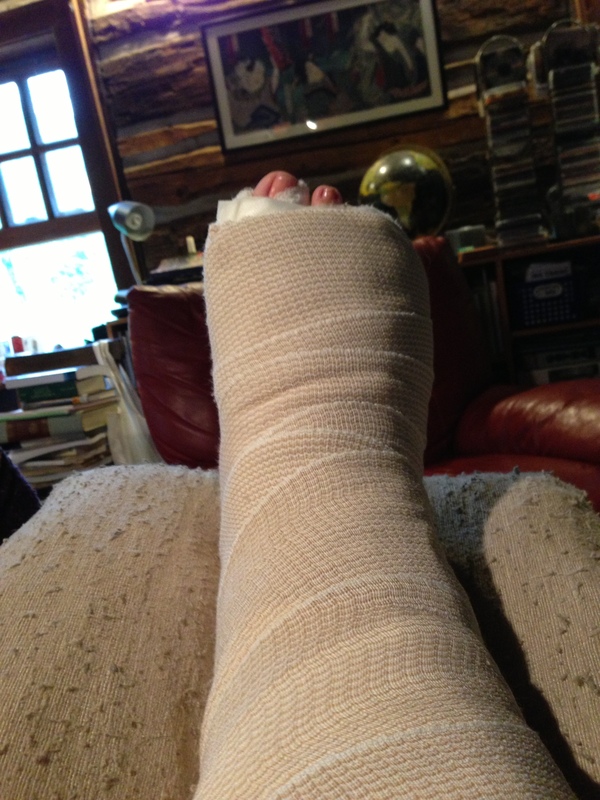 It was a success, the surgery, though I awoke from the anesthesia blubbering like a baby. It’s normal, said the orthopedic surgeon, come to check on me. A lot of people cry. Then it was hip, hop, on to the wheelchair, on to the crutches, off to my new full-time lair, my living room, my foot on pillows above the couch. 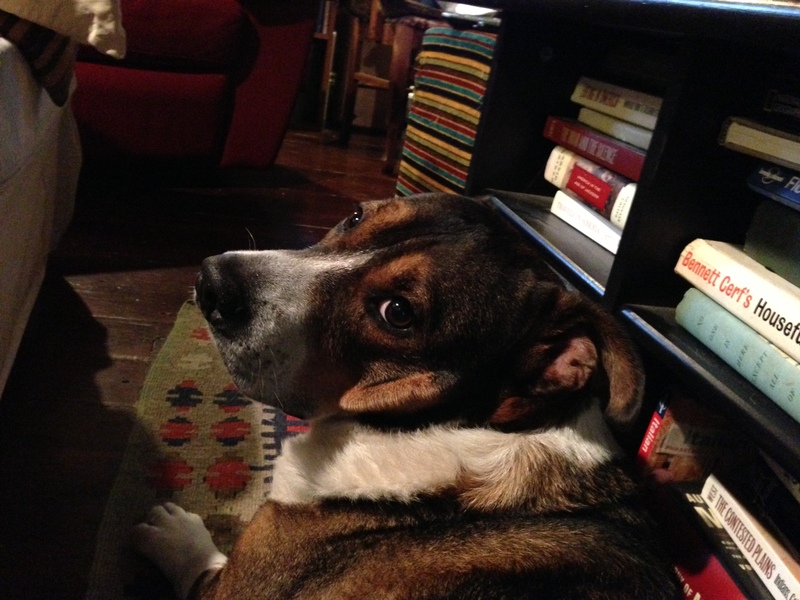 My snouted nursemaid wedged beside me. My other nursemaids scurry to my orders. My computer, please! My muffin! My book! Put it close, I’ve got to get an NPR review done this week. Could you please turn that light off? Or on? 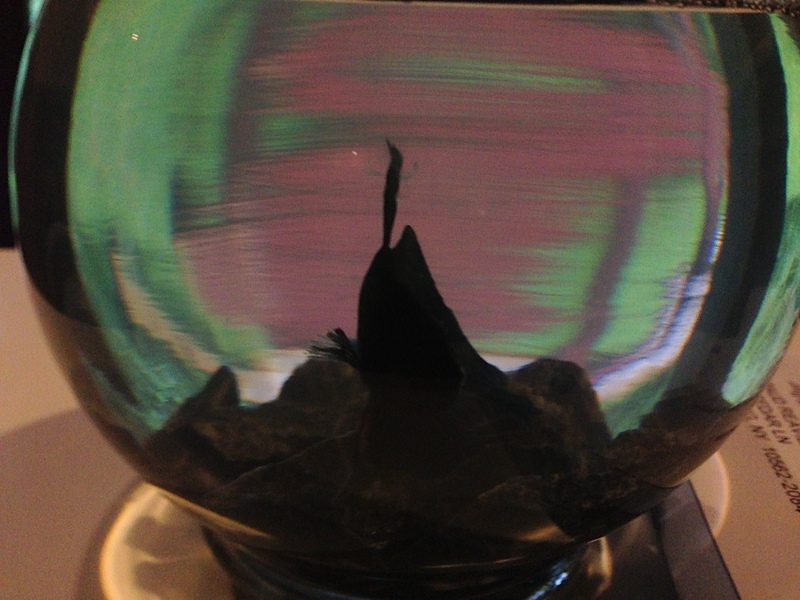 I have a good view of Maud’s metallic blue fighter fish, Brussels, making his small way around the bowl. Somehow, thinking about the immediate future, though I never had much patience for that fish, I now feel kindly toward it. Brussels reminds me of myself in my own little living room bowl. Except I hobble, can’t float at all, when I want to go brush my teeth. Trying to stretch myself outside this world, adventuring via pictures of the past to the motor adventure taken in 1918 by John Burroughs, Thomas Edison, Henry Ford and Harvey Firestone. This brilliant crew took a 12-day car camping trip in Burroughs’ automobile when he was 81. 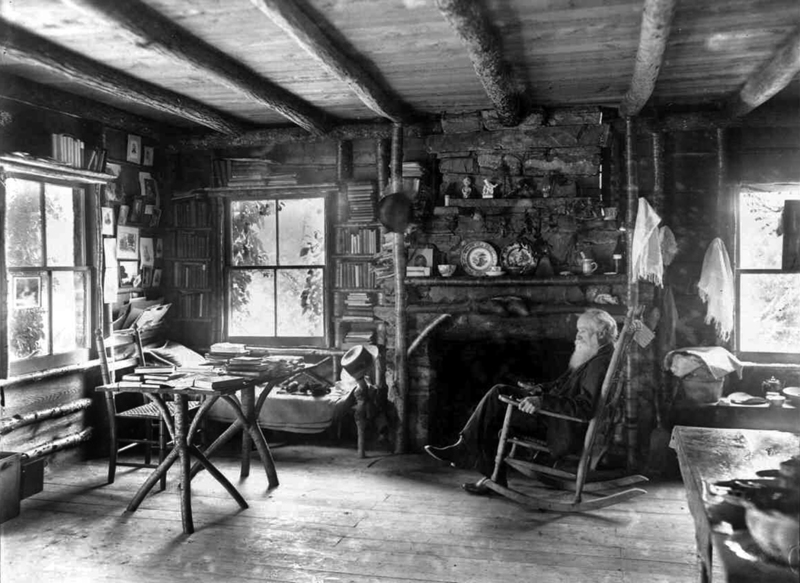 John Burroughs, less well known today than the others, was ragingly popular by that time in his life. Gil and I used to visit his country retreat, a tiny cabin called Slabsides that stood beside a celery marsh in West Park, New York. Burroughs’ fans have kept it intact, so you can see it as he did. Being there always made me want to inhabit a cabin, and now mine is virtually like his. 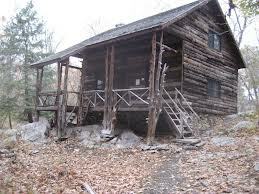 … I was offered a tract of wild land, barely a mile from home, that contained a secluded nook and a few acres of level, fertile land shut off from the vain and noisy world by a wooded precipitous mountain… and built me a rustic house there, which I call ‘Slabsides’, because its outer walls are covered with slabs. I might have given it a prettier name, but not one more fit, of more in keeping with the mood that brought me thither … Life has a different flavor here. It is reduced to simpler terms; its complex equations all disappear. Young college women used to travel in hordes by train to Slabsides to pay homage to the great man, a pioneer of nature writing who published some 25 volumes, of which a million and a half volumes were sold during his lifetime. 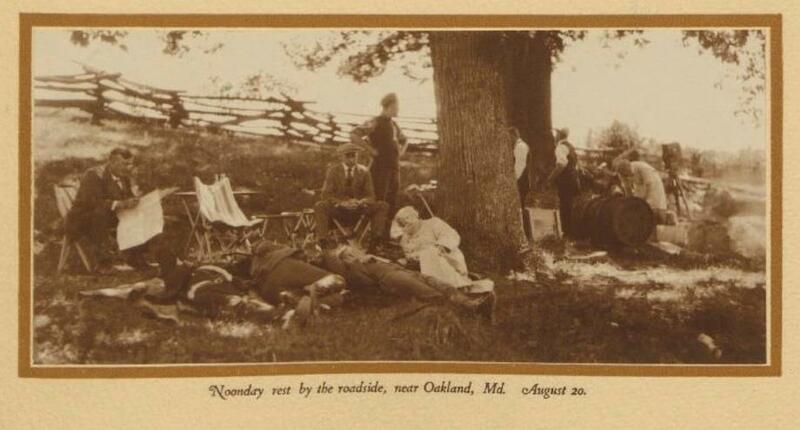 In 1918, a convoy of eight vehicles accompanying the brainy colleagues toured Pennsylvania, West Virginia, Tennessee, and Virginia, stopping to camp on farms, examine old industrial sites, take hikes along rivers, and measure farming implements for fun, documenting as they went. 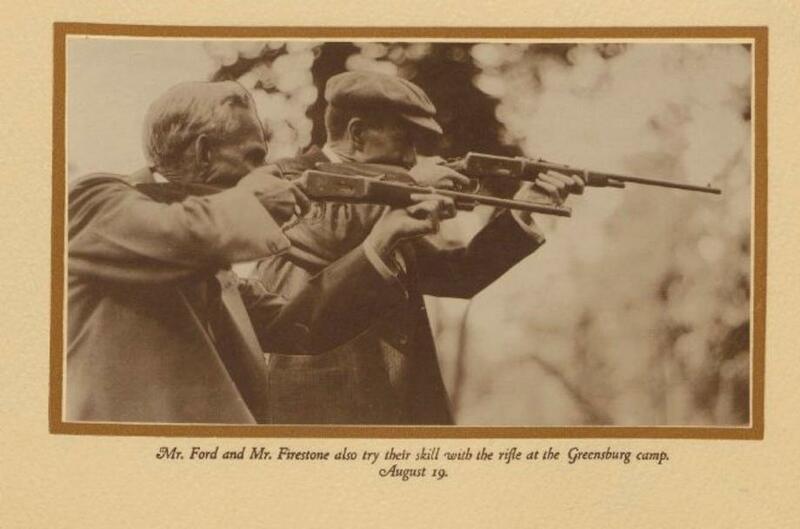 Some shooting entertained Ford and Firestone. At night around the campfire the two industrialists, the naturalist and the inventor wound down by chewing over Shakespeare, Thoreau, chemistry. Don’t you wish you could have been there? In a way, you can, because photos from the trip are stored at Harvard’s Widener Library, with a smaller portfolio at my favorite website, Slate’s The Vault. Closer to home yet exotic in its own way, the wool I am sending away for to keep my hands busy during this nonambulatory period. 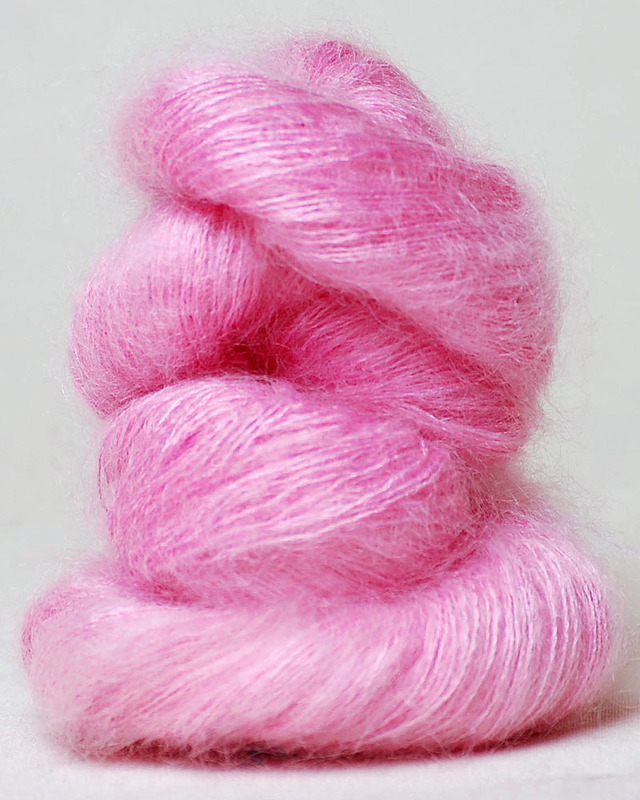 What is mohair, anyway, I wonder, as I fawn over the silk and mohair skein available from the chicest yarn store I know, Purl in Soho, New York City. It’s from a line called Haiku made by a company called Alchemy. The shade is called Teardrop. Is that not irrisistable? 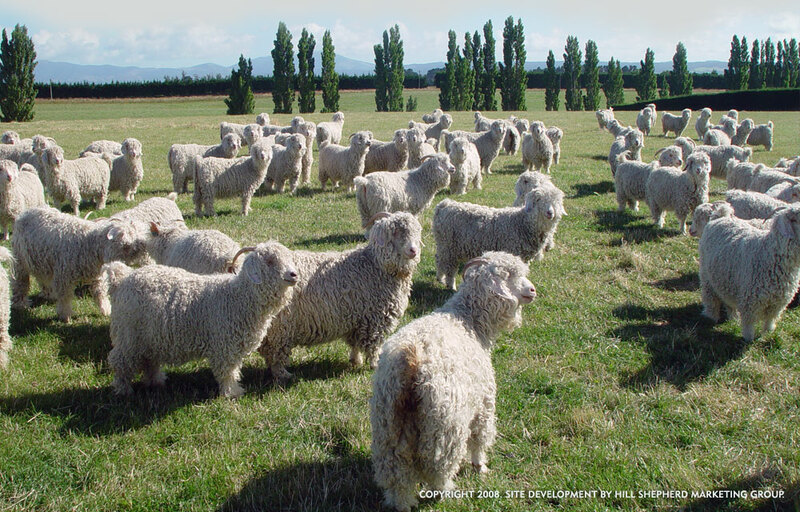 The yarn comes not from a sheep but a goat, the Angora, which emigrated from Tibet to Turkey in the 16th century, and it’s one of the oldest textile materials in use. 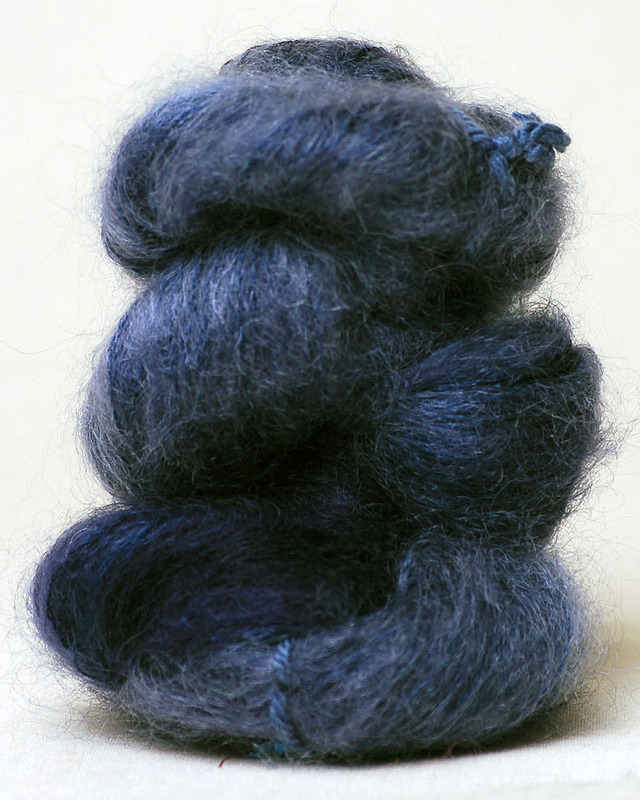 It’s made of keratin, like hair, wool, horns and skin. 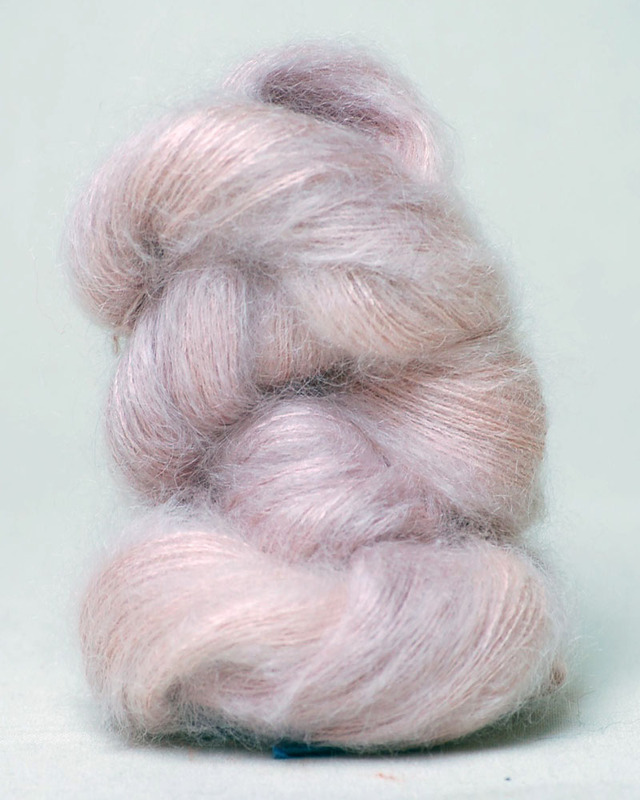 Mohair is warm in winter, while remaining cool in summer. It is flame resistant, crease resistant, and does not felt. The goats are mainly bred in South Africa now. And it is of course beautifully luxurious. Makes your fingers sing. Should I choose this color instead? It’s for a slip of an elegant bandana, not the kind you’d wear around a Slabsides campfire. Evening Pink. If Firestone and Ford and Edison were on their way over to roast weenies, maybe a scarf in this hue would be more refined: Blue Jay Way. So many choices when your leg is up and all you’ve got to do is dream. If you were to ask for my vote it would be for teardrop. Okay, Teardrop would come in first and Blue Jay Way comes in second. Maybe it’s time for you to learn to knit in two colors, because those two would be simply smashing together. I could totally see a delicate scarf or a wonderful sweater done in those colors.